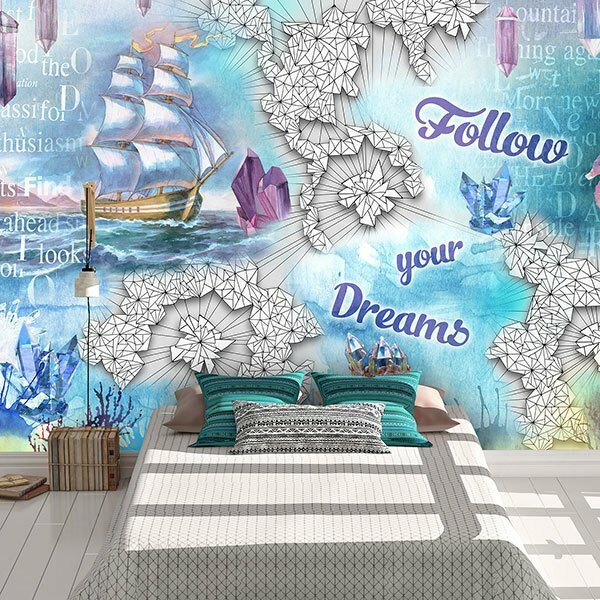 Wall mural Follow you dreams. 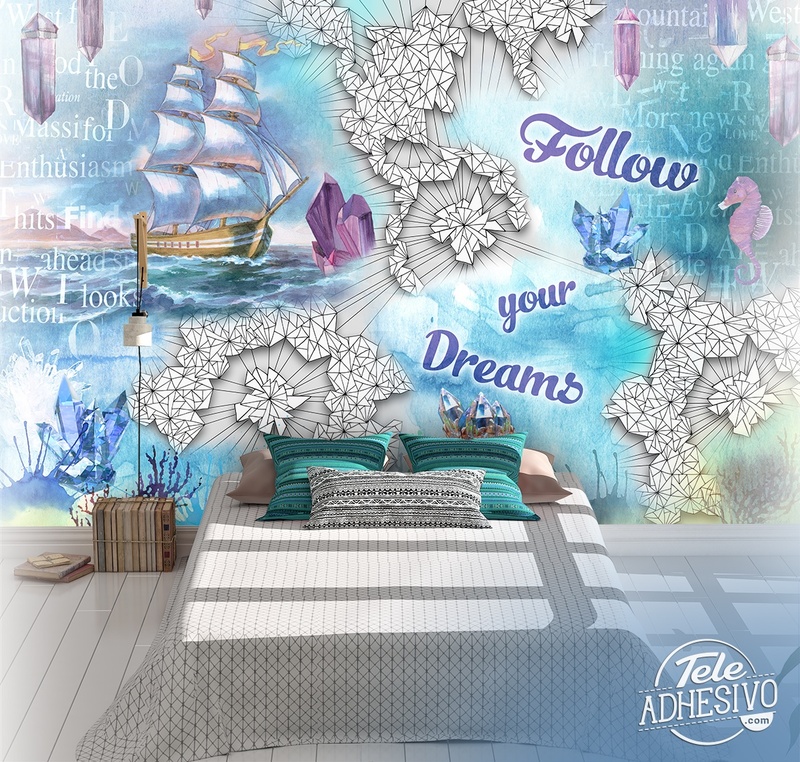 Collage that mixes the image of a sailboat, with the seabed, we see a seahorse and some origami. 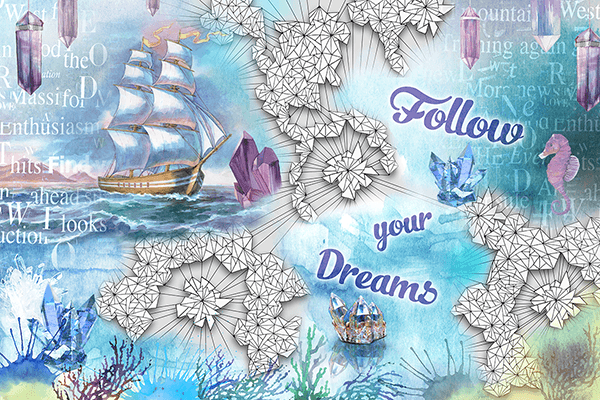 There are also several messages, among which one in English stands out: Follow your dreams.